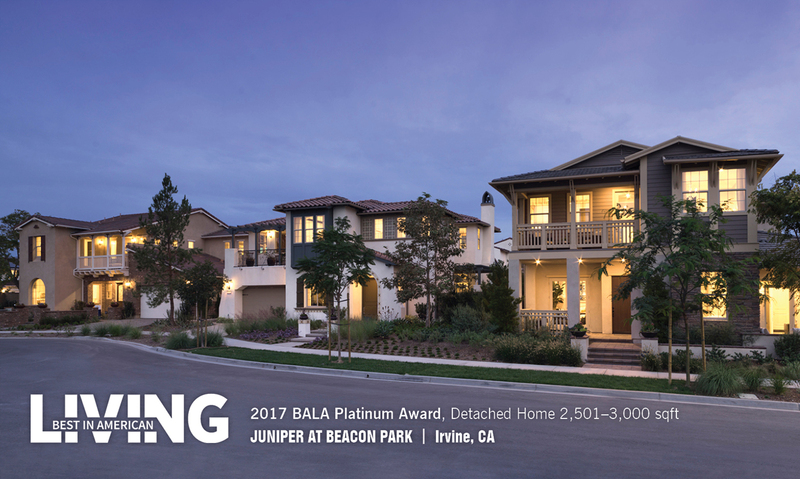 DAHLIN Projects Juniper at Beacon Park, The Copenhagen, Summerhouse, and Kaiyuan Block #9 each win awards at the 2017 Best in American Living Awards (BALA). Four DAHLIN projects have won awards in the 2017 Best in American Living™ Awards (BALA) by the National Association of Home Builders (NAHB). Award levels, including platinum, gold, silver and Home of the Year, were announced at the NAHB International Builders’ Show on January 10. Now in its 34rd year, BALA recognizes outstanding achievement by builders and design professionals in all sectors of the residential housing industry including single-family production, custom, multifamily, affordable, remodeling, community and interiors. BALA is built on the principle that all great homes start with great design, no matter cost or size. Additional Information about the BALA program can be found at bestinamericanliving.com. The 2017 Winners Portfolio, featuring design trends and project photographs, will be available online beginning January 10, 2018.